The widow of a Kenyan-born man who died in the United States two weeks ago has come out to explain why her husband’s remains were cremated rather than being flown to Kenya for burial. Dr Ada Kagumba told the Nation that much as she understands the frustration in the extended family of her late husband Mr Moses Okumu Maima, his wishes had to be honoured. 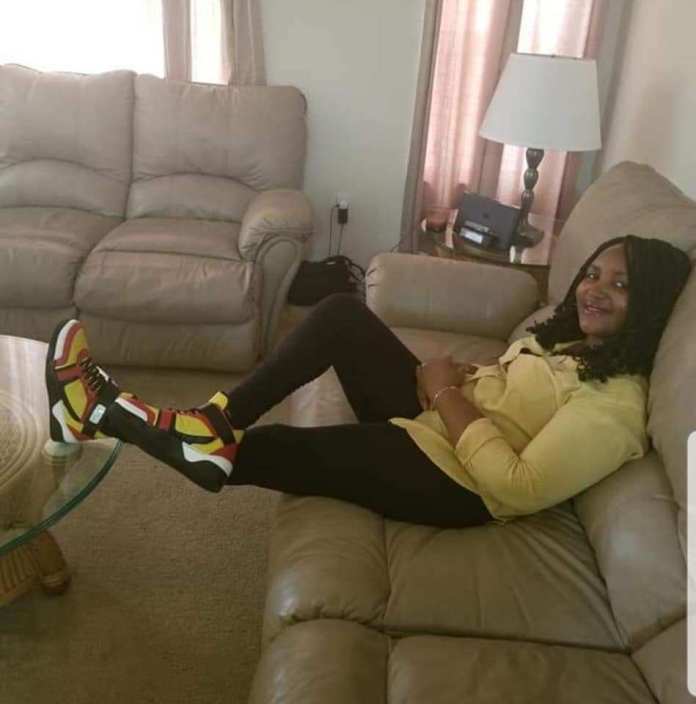 Mr Moses Maima’s family accuses Dr Ada Kagumba of failing to provide answers over his death in US before his body was cremated. Dr. Kagumba is an obstetrician-gynecologist in Quincy, Illinois. She received her medical degree from Johns Hopkins University School of Medicine. But Mr Maima’s father and brothers on Saturday rejected that line of argument, saying they had plans to ferry his body to Kenya for burial. In what promises to be the start of a protracted conflict between a Kenyan family and the US-based widow of their late son, Mr Maima’s family is planning a peaceful demonstration in their Memba village in Siaya County to “demand justice”. They also plan to carry out all the burial procedures for their son, though they do not plan to conduct any burial. In an interview with the Sunday Nation, the widow dismissed allegations that she may have engineered her husband’s death — said to be a suicide — to get insurance money. She said those claims do not deserve her comment. Dr Kagumba was also reluctant to disclose further details on the matter. “Please, you Press people should leave us alone. I don’t want to talk about this anymore. My children and I are trying to move on,” she said. Mr Maima’s father, Mr Androniko Miyare Maima, told the Sunday Nation yesterday that as it stands, they do not even have proof that their son is dead, because of the scanty information the widow has given them. But there is a death announcement Dr Kagumba placed in the Daily Nation last Friday, where she stated that he died on March 20, nine days before his 51st birthday, and that he was buried “in accordance to his wishes”. The 87-year-old father was shocked to see the notice yesterday. He said he received information about the death of his son last weekend and efforts to verify it have been futile as the widow is not cooperating. “The brother in Nairobi is the one who informed me about his (Maima’s) death. It was about 1am,” he said. The old man added that when the family reached out to the widow for more details, she informed them that he committed suicide after being involved in a road crash. She told them, the distraught father said, that Mr Maima knocked someone down on his way from work and upon reaching home, he shot himself dead. Mr Miyare, who was accompanied by Mr Maima’s elder brother Isaiah Yuko during the interview, said they do not buy into Dr Kagumba’s account of events. They said that an advocate in the US whom they contracted to pursue the matter informed them that the “death” of their son was fishy, since no report was made about the claimed accident at any police station. They added that CCTV recordings revealed that no crash indeed happened. “How come a report about the accident was not made to the police? The CCTV on the said route have revealed that no accident happened on the said day,” said Mr Yuko. Mr Maima, an alumnus of Starehe Boys, had lived in the US for more than 20 years, working as a sales consultant at Norman Frede Chevrolet in Houston, Texas. He had also been a sales agent with Berkshire Hathaway in Atlanta, Georgia. He had been married to Dr Kagumba for more than five years and together they had a daughter aged about three. In all, Mr Maima had three children as this was his second marriage. The Friday newspaper notice eulogised Mr Maima as a man of many talents who was multilingual and who had an interest in jazz music, politics, travelling and training to fly helicopters. “He will be remembered as a kind, gentle, loving and supportive father leaving his legacy through his three wonderful children,” it said. And while the news of his cremation might come as a shocker, some Kenyans living in America are fast adopting the foreign culture. Mr Cysco Wandati, a Kenyan residing in Chicago, Illinois, said cremation is increasingly becoming an alternative to burial, especially for families that don’t want to incur huge funeral expenses. “People at home should not be shocked,” he noted. “I know the family personally and I can tell you Maima had become what folks at home refer to as ‘Americanised’. He had very little interactions with the Kenyan community here in Chicago and I’m not surprised that he preferred to be cremated,” said Mr Wandati.